DFW Apartments and Multi-Family 2013-Forecast - R.E.INVEST Brokerage, LLC. One building class that was affected positively through the Real Estate crash is Multi-Family housing. Texas apartment rents and occupancy are both trending upward from previous years. 2013 did see a slight stabilization of occupancy rates, while rents are still on the rise. Overall Dallas Apartment occupancy, as of June 2013, is 92.8% while effective rents are up 4.9% from a year ago, and Fort Worth occupancy is 92.5% with effective rents also up 4.9%, according to recent ALN apartment data. Renting is no longer a stigma in the U.S. supported by lifestyle/status changes, no long-term commitment, and no mortgage debt. 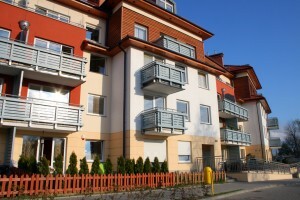 Rents will continue up until home financing improves and/or availability of financing eases. When house ownership costs equal new apartment rents, occupancy will fall. Here in Texas, we are slowly beginning to see just that. Housing affordability has always been low in Texas, paired along with a strong job market and employment, and Texas home ownership will be back on the rise. by DAN CAMPANELLA, Broker/Owner @ R.E.INVEST Brokerage, LLC. on September 26th, 2013.